In our first full podcast of 1998-Month, we take a look back at some of the games we busted out for Multiplayer Night including Rival Schools, Bushido Blade 2, and more! 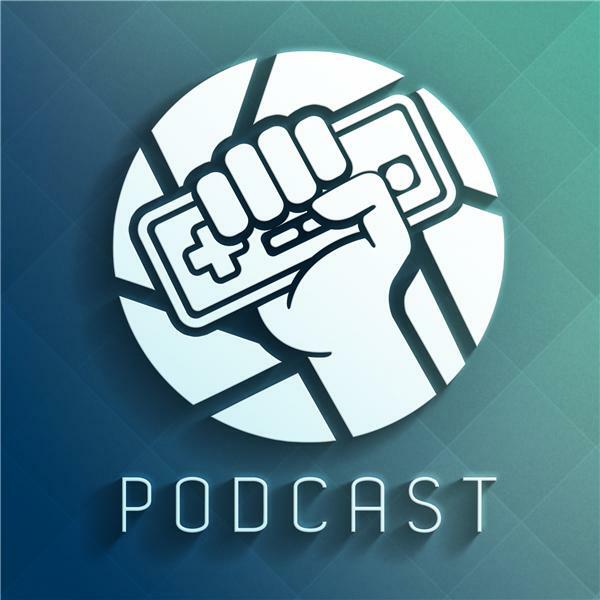 Brad has been playing Medievil off the stream, Nick plowed through both scenarios of Resident Evil 2, and Nolan shares his take on Fallout 2 and Suikoden 2! On top of all that, we look back at the legacy of the Sony Playstation console! Sim Standard Radio Ep.109 - What's going on in America and More! Welcome Back Sim Gamers! We are excited to bring another show to you guys this week. We are expecting Madden 17's equipment and ratings guru, Dustin Smith, to join us tonight depending on his schedule. If Dustin is able to make it he will talk about how ratings are being calculated and how they have been able to add a ton of new equipment. In case Dustin is unable to make tonight we have a few more topics we would like to discuss. Of course we look forward to your calls and hope they will have an effect on tonight's show. Below you will find a few topics that we will discuss tonight. See you guys at 8pm EST. Kevin Durant to the Warriors - How do you feel about Durant's decision to go to the Warriors? Does it make him weak? Is he just chasing a ring? Will this taint his legacy? Do you agree with his decision? DWade and The Miami Heat - Did the heat do Dwade dirty? Should they have taken care of him? Should they have made sure he retired a member of the Heat? Madden's Slider System - We will discuss how Madden's sliders currently work and how we would prefer them to work in the future. This week Alisha and Samantha sit down and talk about PAX West, salty gamers, and whatever else comes to mind. NB in a huge Freudian slip Sam said Fortnite was her favorite Battle Royale when she clearly meant PUBG, LOL. Tony closes out the year with a recap of the Capcom Cup, concluding this years Capcom Pro Tour. With a new season announcement and a great tournament behind us Binary Gamer closes out the year with some thanks and hopes for the coming year. Happy holidays and Happy New Year from Binary Gamer! John and Robert each pick a non-horror game with a horror moment. The games they choose are not horror games, but each have a moment within the game that turned out to be quite scary. We return from our Winter vacation to start Season 2 with a bang. This week Mat and Piper discuss losing monetization on YouTube, Mat buying WWE 2k18 and love/hating it, Super Famicom pick-ups, and being interested in Hyper Universe. The guys also go in-depth into the games and gaming moments from 2017 that really made a mark. They also look back at all of the massive fails that were experienced as well. FTH #158 "A Fond Farewell"
As I am coping with the loss of the game and the loss of one of my favorite shows I have ever done I ran into issues starting the show. But because we are a great team. Ibbott takes the wheel and the show carries on as I fix my tech issues. Shortly into it, I jump in and away we go. We were fortunate enough to be joined live by Paul Klotz, Uncle George, King Fisher, and Chris Wisdom. This was an Irish wake indeed where we celebrated the life of the game and what brought us to it. The saddest part for me as a whole was hearing Ibbott's final "The boss has fled" and then seeing the final render button for this episode. It has been a phenomenal run of episodes and experiences that have taken us to places we would never have thought we could go and introduced us to people we otherwise wouldn't have met. As is said in the show feel free to write in your stories and thoughts and we will put them on the site, on the facebook page, and in the newsletter. Thank you all again for coming along for this glorious ride and for being a part of something I love. This is a re-broadcast of Gaming Chords. On this episode, Charles Mudd will talk about his recent finds for holiday gift ideas in the world of gaming and drones. 2018 in Review. The Good, The Bad, The Underrated. Host @NYCDaFuture and Co Hosts @DjGonzoStar, LilSpaz57 and WeareVenom90 Discussing NBA 2K18, NBA Live 18. Subscribe to my Youtube channel..